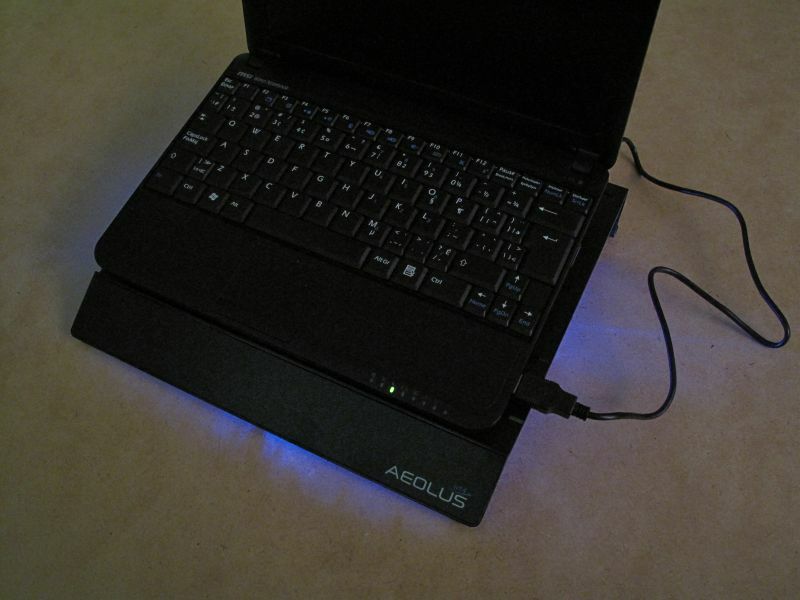 Everyone wants a laptop they can take anywhere. The smaller the better, right? 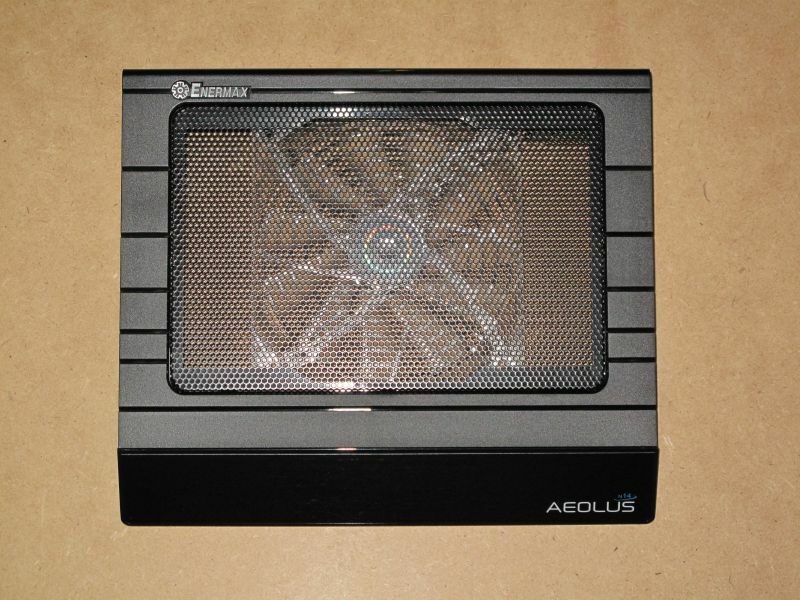 With this smaller technology often comes poor heat dissipation, and too often fan troubles. 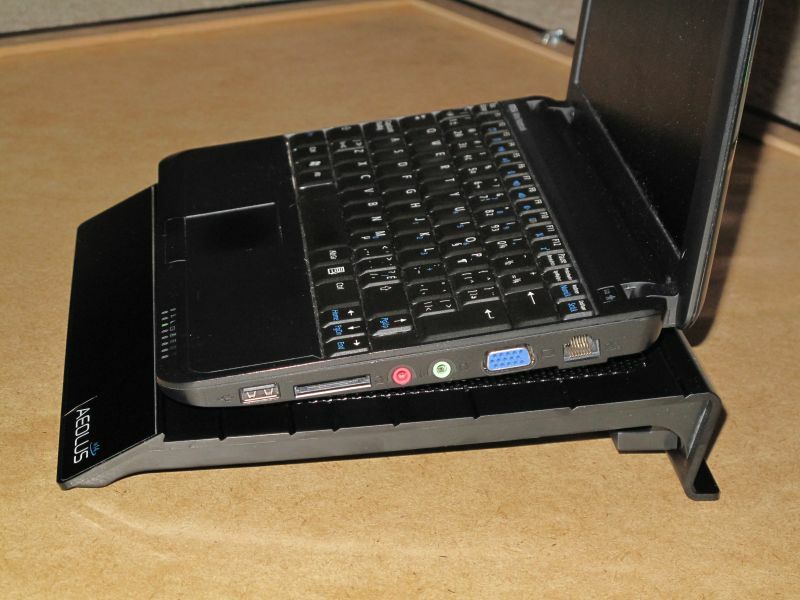 While this may not seem like a big problem to most, it can lead to hardware problems later on, and turn that little laptop you love into a space heater. 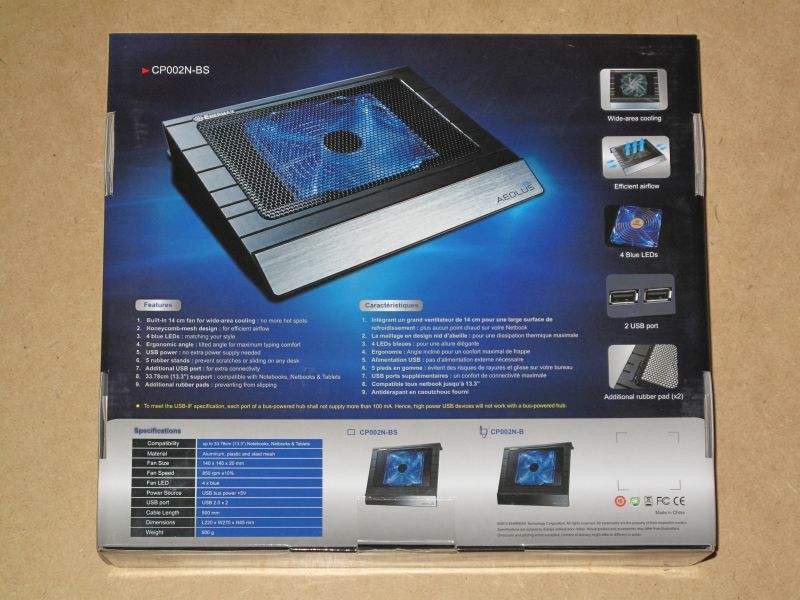 Enermax, founded in 1990, is a leading designer and manufacturer of high-end switching power supplies, PC cooling solutions, PC cases, and PC peripherals. 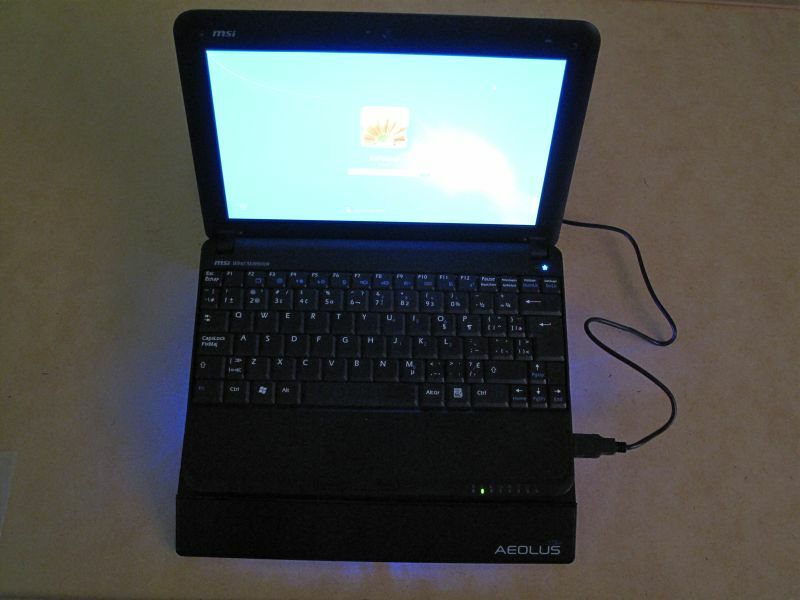 They were the first company who introduced computer power supply units to the retail market with their FMA series. 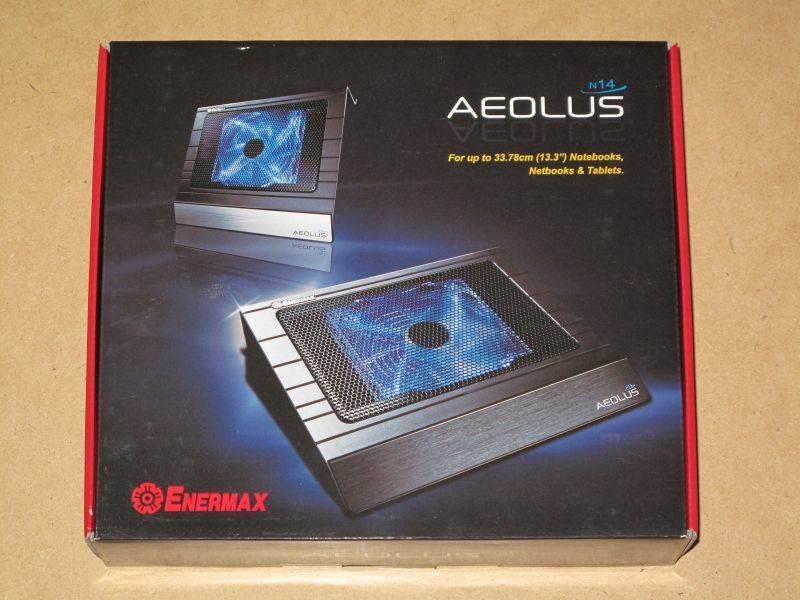 Now, the company that has powered your PC from the beginning looks to cool your netbook with their innovative Enermax Aeolus CP002N netbook cooler. 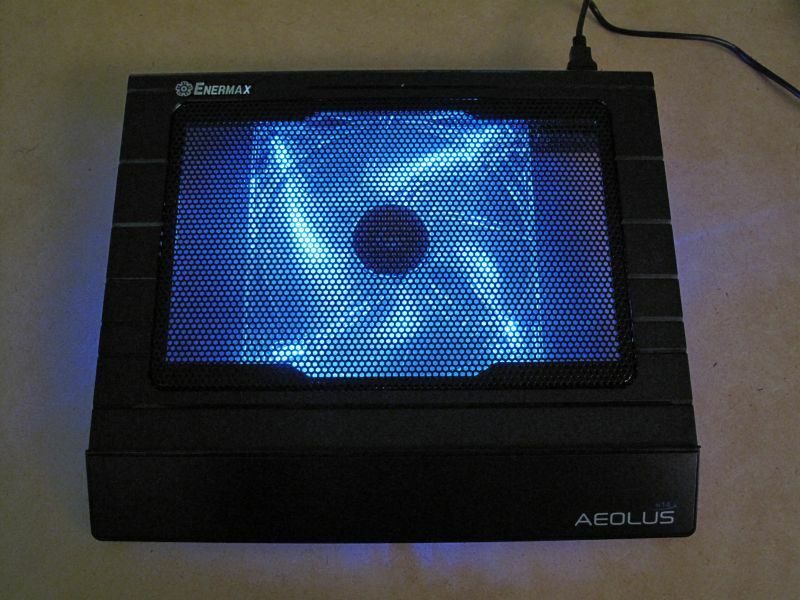 Packaging of the Aeolus CP002N was exactly what we expected. Since there’s no real possibility of damaging this item, short of crushing it with a car, the simple box surrounding it is more than enough to protect it from simple scratches. Furthermore, there is a thin plastic bag that ensures there will be no marks from the cardboard, which holds the unit in place during shipment.